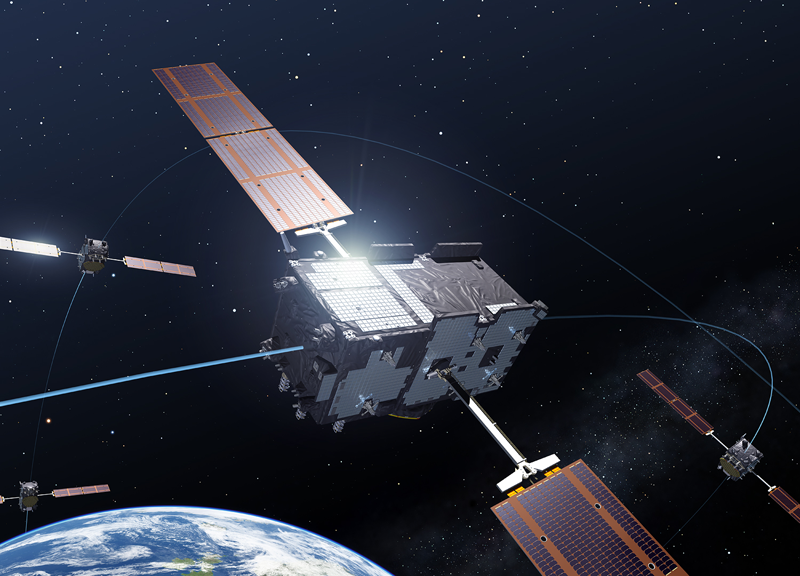 The 3rd and 4th satellites of the Galileo global satellite navigation system were launched one week ago from the Guiana Space Centre. They have now joined their predecessors, already in orbit for a year, to complete the in-orbit validation phase of the programme. The first 4 Galileo satellites in orbit. Credits: ESA – P. Carril. Two new Galileo satellites were orbited Friday 12 October from French Guiana by a Soyuz launcher. After only 4 hours in flight, they had already reached an altitude close to 23,200 km. 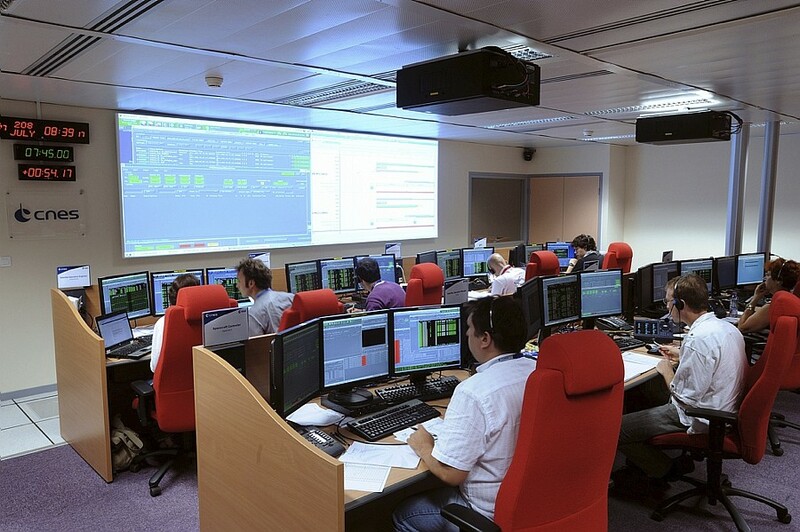 The FM3 and FM4 satellites were then put into the hands of operations teams from CNES and the European Space Operations Centre (ESOC), based at the Toulouse space centre. The Saturday after the launch was devoted chiefly to a series of tests on the satellites’ thruster nozzles. On Sunday, the 2 spacecraft were switched to normal mode and oriented to face Earth. Galileo control centre at the Toulouse space centre. Credits: CNES/E. Grimault. Early orbit drift operations began as scheduled and were to continue until the end of the week, with 3 manoeuvres planned for each satellite. Teams at the Toulouse space centre will then be ready to hand over to the Galileo control centres in Oberpfaffenhofen (Germany) and Fucino (Italy). The 2 satellites are scheduled to reach their final orbital slots by end-November. In terms of performance, these first 4 in-orbit validation (IOV) satellites are identical to those set to join them later in the constellation. By end-2014, 18 of the 30 satellites making up the full constellation are scheduled to have been launched. Europe will then be ready to benefit from the 1st Galileo services.